Activision has registered several domain names that hint at a potential GoldenEye 007 Reloaded game, likely for the Xbox and PS3. To decipher why, we go over the history of the GoldenEye license. The remake of GoldenEye 007 may be getting a revamp and relaunch on the PlayStation 3 and Xbox 360, if a new round of speculation is to be believed. Yesterday, Twitter user Superannuation discovered that Activision has registered several new domain names that hint at an upcoming "GoldeneEye 007 Reloaded" game. These domains are all we have to go on, but many sites and blogs are speculating that the Wii remake of GoldenEye 007 is going to be upgraded visually and ported to the PS3 and Xbox 360. Labeled a Wii Exclusive, the Wii remake of the Nintendo 64 classic came out last November (our review). 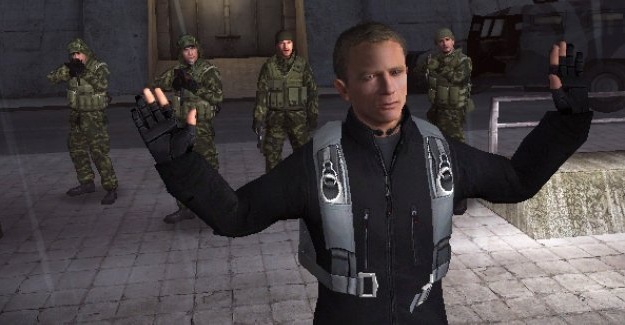 The game had a completely remade story campaign, with Daniel Craig replacing Pierce Brosnan as James Bond and modern mission maps and objectives. The multiplayer was different as well, relying on Wii controls or dual-control sticks, a complete change from the original. You may wonder why the remake was released for Wii instead of the other consoles in the first place. This is due to the complicated nature of GoldenEye’s origins. The original Nintendo 64 game, which made the Bond series a hit, was published by Nintendo and developed by then 2nd Party Nintendo developer Rareware. However, after GoldenEye’s success in 1997, Activision bought the James Bond license and began pumping out some good (and very bad) Bond games on a yearly basis. Then in 2002, Nintendo sold its 49 percent stake in Rare to Microsoft, which still owns the developer today. 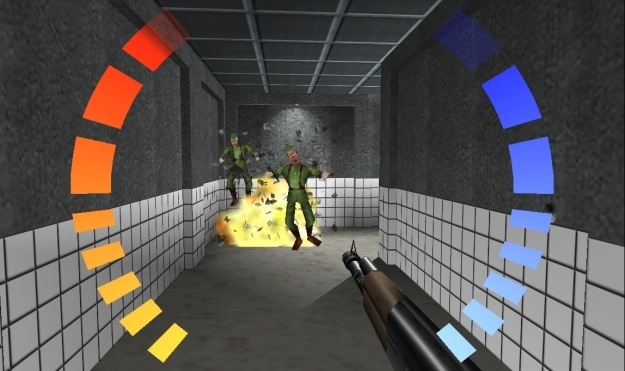 For many years fans demanded a remake or re-release of GoldenEye, but it was held back because Rareware owned the code to the game, Nintendo owned the rights to publish "GoldenEye 007," and Activision owned the Bond license. Finally, the parties worked out a deal to bring the series back to life, but none of the Rare-created levels or missions could be used. We also surmise that the license to use Pierce Brosnan's likeness (or any one else in the 1995 film) had expired. Thus, Activision recast the entire game and remade it from scratch as a fun, though completely different, James Bond game. However, now we are wondering if the deal Nintendo and Activision worked out was only for a limited exclusivity on the new game. Perhaps Activision had to give the Wii a one-year exclusive on the game. This makes sense, as the team has probably spent the last year tweaking controls, upgrading graphics, and polishing the game for its Reloaded debut on the Xbox and PS3. This news is nice, but what we'd really like is for Microsoft, Activision, and Nintendo to strike a deal to port the original GoldenEye to the Wii Virtual Console and Xbox Live. Come on, guys.